Aric L. Salgat graduated from Central Michigan University in 1992 and began his public accounting career with a firm in Hillsdale, Michigan. 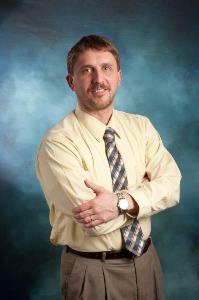 In 1995 he joined the BHT&D CPAs team and now has over 20 years of public accounting experience. Aric has been a member of the American Institute of Certified Public Accountants and the Michigan Association of Certified Public Accountants since receiving his Public Accounting License in 1995. He has previously served as the Firm’s business services manager before becoming a shareholder in 2006. From 2011 to 2017, Aric has served as the Firm’s managing partner. Aric’s experience includes business consulting, compiled and reviewed financial statement preparation, tax preparation for individuals, corporations, partnerships, trusts and estates. He also has experience in Michigan’s personal property tax and state apportionment issues. Aric has worked with numerous industries, but has extensive knowledge with the sawmill industry. Aric and his wife Jennifer have four children Shannon, Alex, Chase and Gavin. In his leisure time, he enjoys being outdoors and spending time with his family.